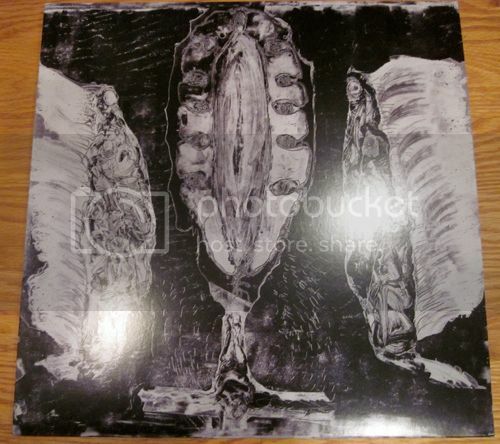 This split LP is much more than merely two bands each taking up a side of a record. It reflects the arduous process of uniting and focusing two distinct forces into a single syncretic expression. The bands collaborated thematically to produce a masterpiece, the whole of which is greater than the sum of its parts. 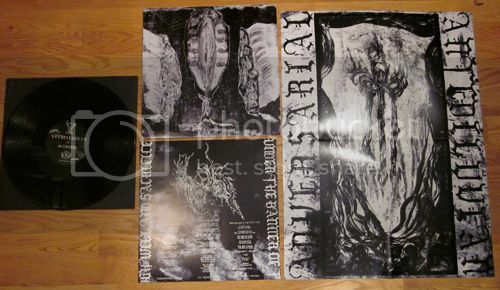 Conceptually, the album synthesizes and contrasts the symbol of Leviathan with that of Lucifer. Side _Leviathan,? featuring the work of Adversarial, is an exploration of abyssic realms?both internal/microcosmic as well as external/macrocosmic. The serpentine coil of DNA. The world serpent consuming itself. 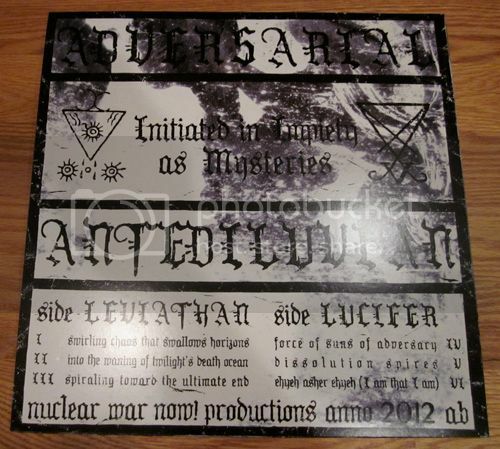 Side _Lucifer,? performed by Antediluvian focuses upon Promethean flame. Solar illumination threaded into synaptic transmission. Charged fields. The ionic path joining that which is above to that which is below. Musically, this LP is incomparable. The bands_ distinctive styles merge into a focused composite image. Both Adversarial and Antediluvian incorporate a wealth of subtle details into their music, the accretion of which adds levels of depth and dimension to the bands_ music that sets them apart from their peers. For its part, Adversarial delivers three tracks that are easily the best material the band has yet released. Featuring much stronger production than the band's previous work, the music on _Leviathan? revels in shimmering contrapuntal guitar riffs set against the savage fervor of the percussion and bass. Adversarial strikes a unique and peculiar discordance which, at times, is evocative of Voivod yet presented within a darker Death Metal context. Antediluvian here continue to pursue a style ever more dense, unpredictable, and arcane. Antediluvian's trademark shifting temporal disorientation and effulgent sparks of spatial distortion are present in abundance. This LP is intended to be consumed in a single listen. Each band's approach to the musical and lyrical themes complements the other and the resulting visions are both wretched and luminous.